A reminder to anyone interested that tomorrow, Tuesday, February 21, we are having a recruiting session at Amelie’s Bakery in NoDa at 6:30pm. 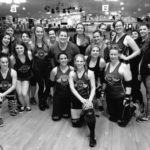 You can find out more about what it means to join the Charlotte Roller Girls on our Join Us page, but a recruiting session is often the best way to really get an idea of what it is all about. 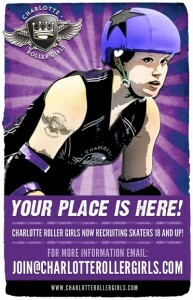 Some Charlotte Roller Girls (newbies and veterans) will be there to answer any questions you may have. 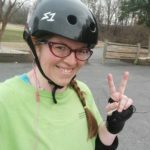 The recruiting session is open to anyone interested in skating, reffing, or volunteering. 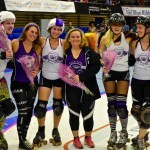 Skaters need to be at least 18 years old and female. Reffing, coaching and volunteering is open to both men and women.